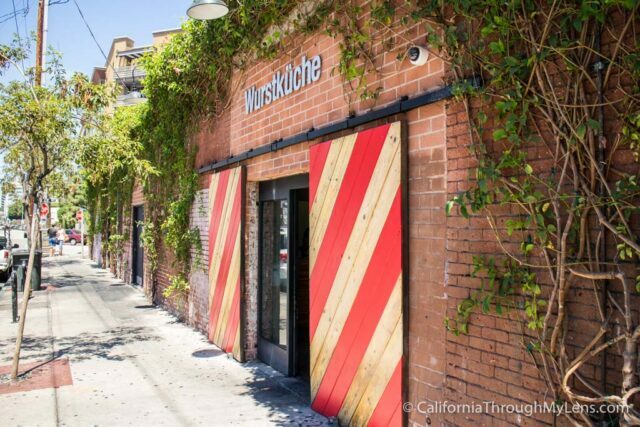 Located right in the art district, in what is quickly becoming a fun hipster area of downtown LA, Wurstkuche is the king of strange meat sausages. 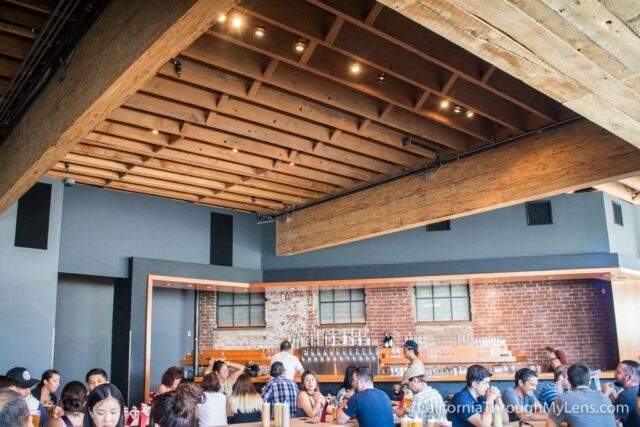 Their menu features everything from rattlesnake and bison to pork and rabbit. It is the place to go if you want to try something new. Here is all the information. In this blink and you will miss it restaurant with a small sign on the all brick walls, Wurstkuche appears like one of those hidden spots that no one knows about. Of course this isn’t true as it has over 6,000 yelp reviews and is always busy. When you walk inside, you will grab a spot in line as you wait to place your order and review the menu. 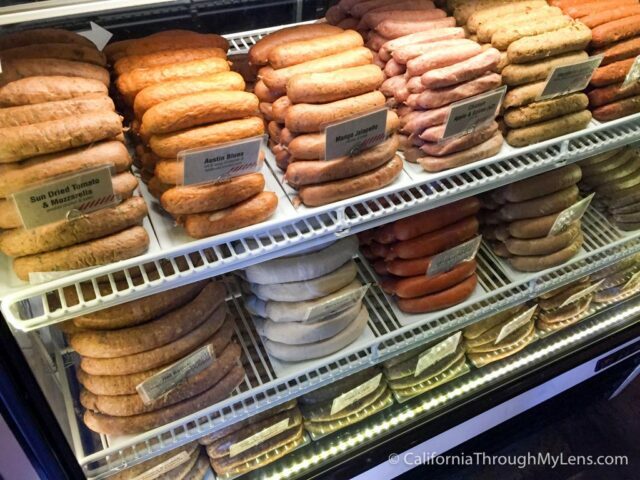 The line is always long when I go, but it gives you time to gawk at the crazy sausage area they have and make a choice of what you will eat. After ordering you walk down a dark hallway into a large back area with communal tables and lots of room. It is very industrial but a nice spot to hang out in with a good vibe. 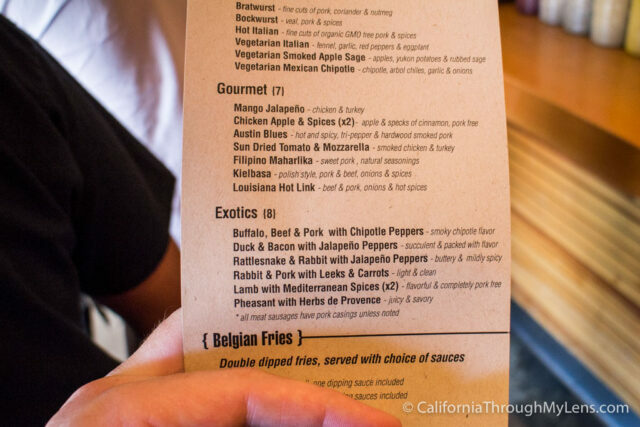 I recommend the rattlesnake and rabbit as it is one of those meats that you have probably never had before so why not give it a try. 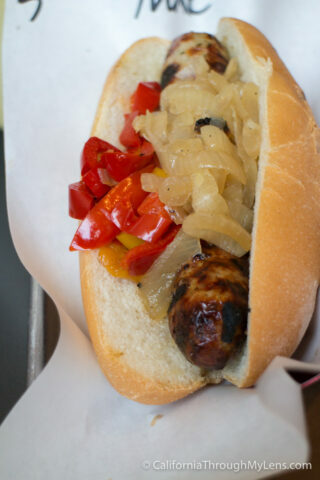 All of the sausages come with a choice of two toppings from which I always go sweet peppers and caramelized onions. 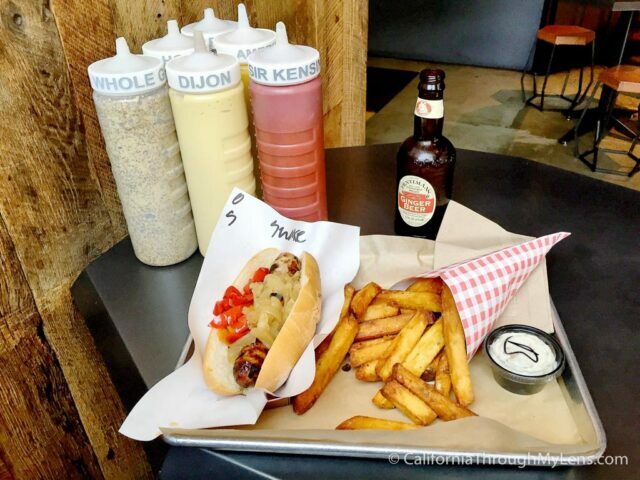 The sausage has a buttery, sage type taste. I would definitely say it is a different taste then you would anticipate with sausage but I liked it a lot. There is even a hint of spice at the end as well. The sweet peppers are a great addition, the flavor adds a savory taste to the overall vibe. I added the whole grain mustard to it and it didn’t disappoint. For sides I recommend the truffle fries, they are $2 extra but they are fantastic. There is a collection of 10 different sauce options as well which you can pick one of, but for me it’s all about the blue cheese, walnut, bacon sauce. 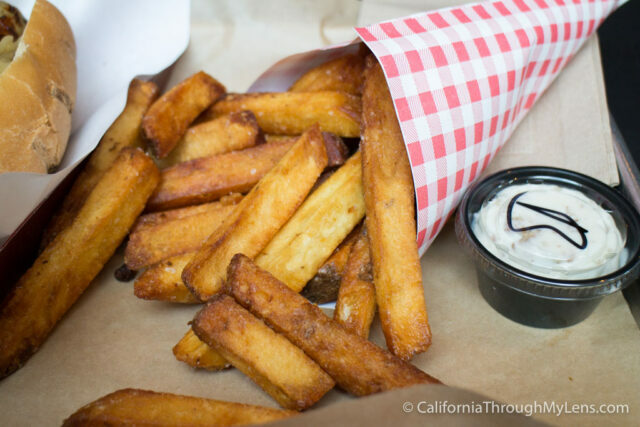 The fries are crispy and overloaded with flavor. I like crunch a lot myself and they went perfectly with the blue cheese, walnut, bacon sauce. 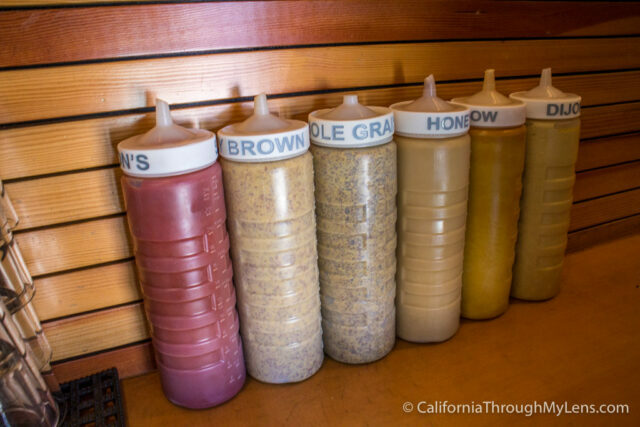 Also, when you sit down in the back there are six different kinds of mustards you can use for your sausage, ranging from honey mustard to whole grain. I like most of them but I will let you decide on your favorite. All in all this is a really fun spot to try out. There are options for everyone, even the vegetarians and it is very unique with its options. Let me know what your favorite sausage is below.